TUTORIAL: Clean a car that has been invaded by tobacco. If today you are a convinced vaper, it is possible that your car continues to suffer from your years of active smoking. But good news, it is possible to remove the misdeeds of tobacco from your car, for this is a tutorial that offers a specialized website in the automobile. DECREASING A CAR FOLLOWING AN INTENSIVE TOBACCO! A stubborn and very unpleasant odor of cold tobacco hovers in the cabin? A yellowish veil, residue of the combustion of cigarettes, formed on the supports? It is possible to remove all this with a complete cleaning but beware, it should not be done in any way. To hope to overcome the tobacco that creeps in every corner, it is necessary above all to rely on effective products and methods. 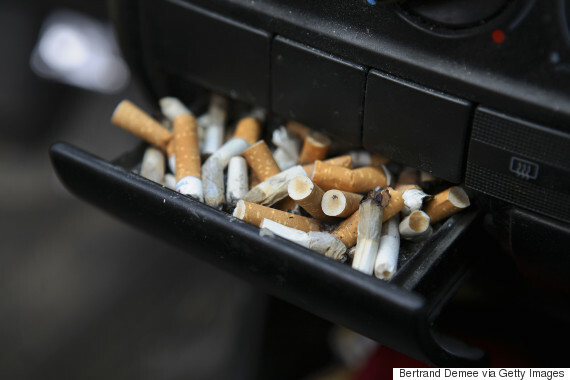 First of all, remove the ashtray and all the easily removable plastic covers from the vehicle. These can be put in the dishwasher. Floor or trunk mats must be brushed thoroughly and rinsed with plenty of water. If they are inexpensive models, better to replace them. B) For windows, only one solution: Alcohol! It is the easiest medium to treat. But to get rid of the nicotine layer and not leave traces, use alcohol. It is a denatured version of the alcohol to burn, without smell therefore, and extremely effective to degrease and disinfect. Just apply it to a soft cloth and rub the glass surfaces. Do not forget to pass on and in the joints. C) Plastics: Stripping with steam (water of course!) And black soap! Two actions must be combined. At first, a stripping steam to take off the dirt. To do this, there are small inexpensive devices (Kärcher SC1, 100 € approximately), also used in the house. Then brush the elements with a black soap preparation. Prefer it in paste. 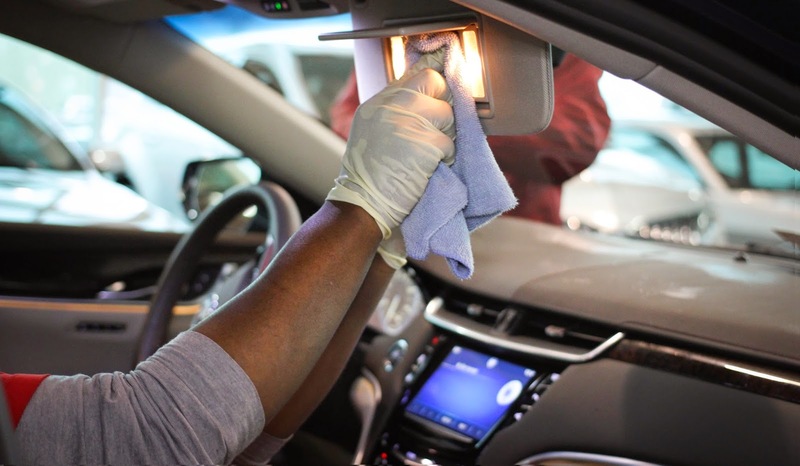 All you have to do is put some on the brush previously immersed in hot water and scrub interior door and center console (do not forget the sun visor). A microfiber finish with clean water is necessary. Highly exposed, the dashboard contains many interstices, so many traps to soot tobacco. To overcome this, you will have to arm yourself with patience. Steering wheel, gear knob, commodos ... are in direct contact with the smoker's hands, and therefore contaminated. But before cleaning them with microfiber soaked in household alcohol, treat all the interstices. For this, dip woolen threads in alcohol and pass them through the slots. Aerators, dashboard controls ... also store dirt in nooks. To dislodge, use toothpicks and cotton swabs impregnated. To recover tissue, nothing like an injector / extractor. This is a device that injects diluted cleanser into water before sucking it off with dirt. Some petrol stations are equipped. You can also rent one for 25 € per day. More tedious, you can also brush by spraying a mixture of very hot water and tissue cleaner. If weather permits, open everything and ventilate as much as possible after cleaning. This coating is fine and glued. It must be cleaned carefully with a soft brush. The use of the injector / extractor, too powerful, would take off. For your convenience, prepare your tissue and water cleaner mixture in a sprayer and work in small areas. And to prevent moisture from attacking the glue, it is best to immediately dry each cleaned area with microfiber. G) It's not sufficient ? Do not hesitate to pull out the heavy artillery! If, despite all your efforts, the smell of cold tobacco still impregnates the vehicle, you can try to capture it. To do this, put a towel in a basin and soak it with a mixture of water and white vinegar. Put the basin in the center of the vehicle and let it work for several hours. It will air a good time the cabin after treatment. You can also sprinkle the seats with baking soda, which you will remove with a vacuum cleaner after a few hours.